Ex-CIA spy reveals America's role in capture of Nelson Mandela in 1962. 'Kennedy administration had no love for Mandela'. The Kennedy administration played a significant role in the arrest of South African anti-apartheid activist Nelson Mandela, former CIA agent Donald Rickard said in an interview for the upcoming film “Mandela’s Gun”. 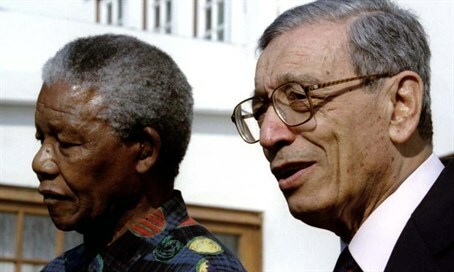 According to Rickard, the US feared Mandela was a stooge of the Soviet Union, and that his activities in South Africa were liable to set off a full-scale communist-inspired revolution in a country that was then considered an American ally. In the early 1960s, at the height of the Cold War, the US government feared Mandela was “the world’s most dangerous communist outside of the Soviet Union,” said Rickard. It was widely believed that he was “completely under the control of the Soviet Union, a toy of the communists”. Worried that Mandela was working to incite the Indian population of Natal to open revolt against the South African regime, the CIA decided to intervene, tipping off the South African government to his whereabouts and thereby enabling his arrest. “Natal was a cauldron at the time and Mandela would have welcomed a war,” said Rickard. “If the Soviets had come in force, the United States would have had to get involved, and things could have gone to hell”. Rickard claims that after learning of Mandela’s location, he helped South African police capture the ANC activist. Mandela’s lawyer, George Bizos, says the ANC had long suspected American involvement in the arrest. “We never knew for certain that [the CIA] were involved but it was thought to be a probability because of the ideology of the United States at the time. I don’t think President John F. Kennedy’s government was particularly pleased with Nelson Mandela,” Bizos told the Telegraph.